Picking recommended ELISA Kits will save you time - yet all 43 products covered by our Money Back Guarantee! 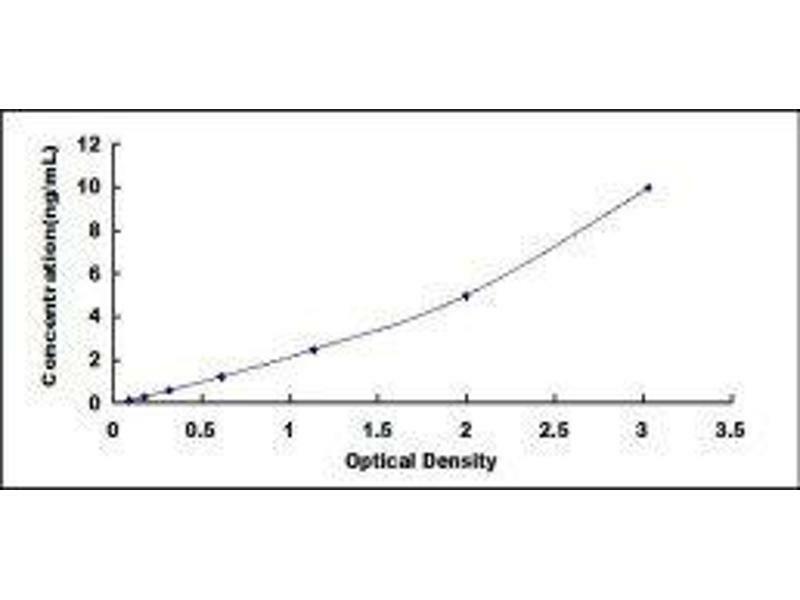 Diagramm of the ELISA kit to detect Human Cwith the optical density on the x-axis and the concentration on the y-axis. The protein encoded by this intronless gene is a bZIP transcription factor which can bind as a homodimer to certain promoters and enhancers. 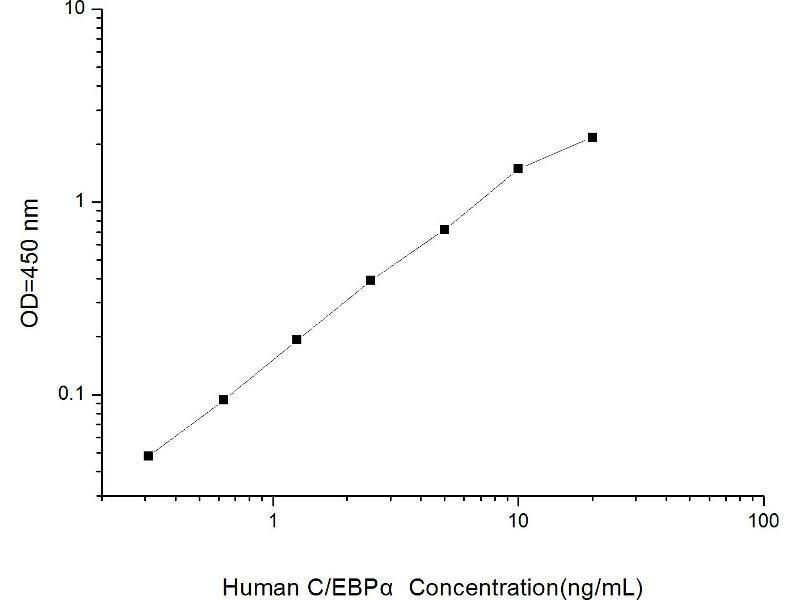 It can also form heterodimers with the related proteins CEBP-beta and CEBP-gamma. The encoded protein has been shown to bind to the promoter and modulate the expression of the gene encoding leptin, a protein that plays an important role in body weight homeostasis. 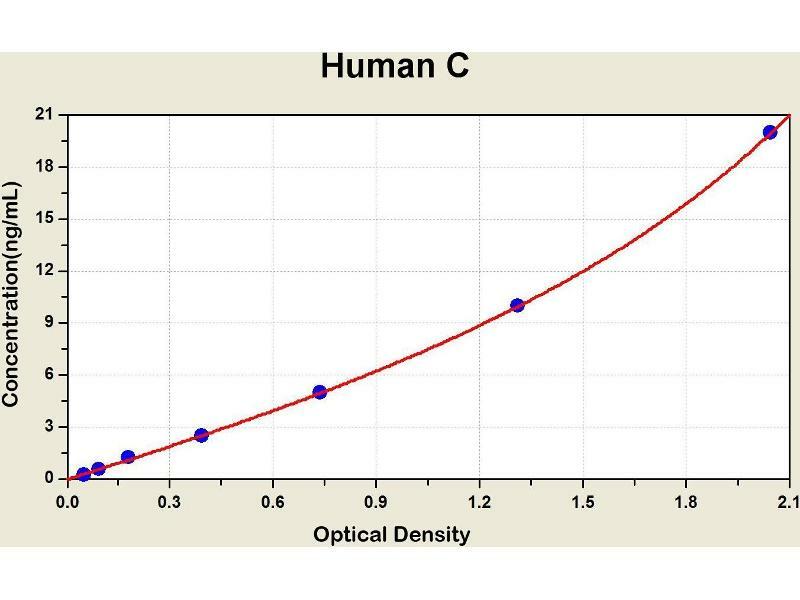 Also, the encoded protein can interact with CDK2 and CDK4, thereby inhibiting these kinases and causing growth arrest in cultured cells.